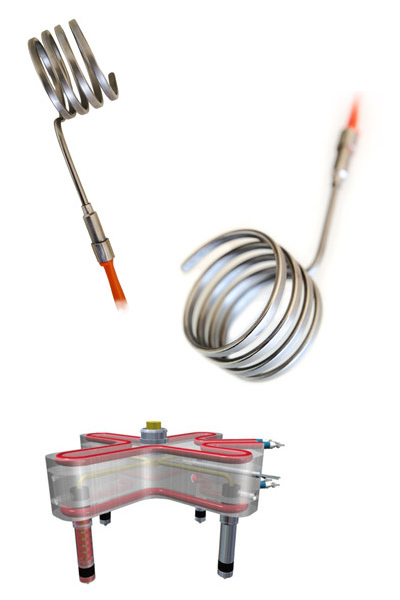 Coil Heater cartridges are especially recommended for the heating of cylinders and joints. 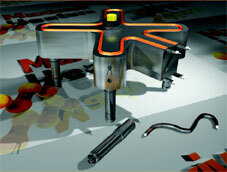 These cartridges, despite their small diameter, have high heating power, distributing uniform heat up to 360C. The heater wire is of the highest quality surrounded by a layer of magnesium oxide and enclosed in a stainless steel cover. Everything goes through a process of compression; giving it a longer life, as well as ensuring its reaching the required temperature. As an option the cartridge heater can be hermetically sealed to prevent the entry of extraneous materials, moisture, fluids, etc. As standard, the heaters are sold straight, but can be coiled to your specification. (*) Include Thermocouple type "J", Teflon or Fluoropolymer-Nickel-plated copper leads, and fibreglass protection sleeve of 1000mm length. Welded watertight base tig, resists pressure up to 60kg/cm2. Nickel-chromium heater wire. Melting point 1400ºC. Our manufacturing system, together with its CAM system, makes it possible to evenly separate the spirals, thereby guaranteeing the same temperature around the whole perimeter and length of the cartridge. Obtaining a uniform and lasting temperature output. Axial Output Ref. "Coil A"
Tangential Output Ref. 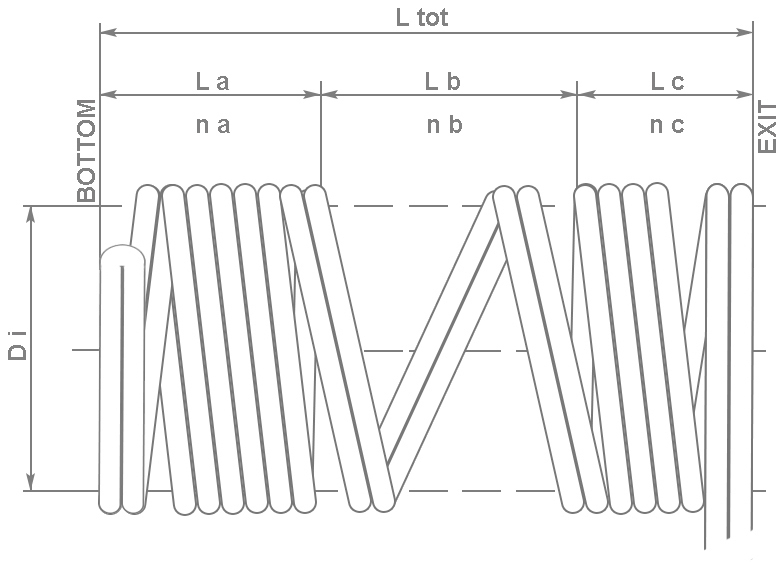 "Coil B"
Lateral Output Ref. "Coil C"
Radial Output Ref. 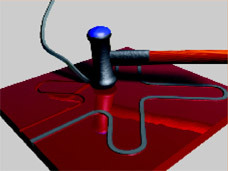 "Coil D"
Our square-sectioned resistances are specially designed to be mouldeable to the required shape at room temperature. These heaters have been designed for heating all types of molds, particularly hot running systems. These resistances have been developed and constructed with the highest quality of materials, which guarantees their reliability and long life. Their three-dimensional flexiblility allows the client to mold the resistance to any shape, including very tight angles and turns, by only applying a slight pressure. Being able to mold the resistance at room temperature allows fast and easy setup at the client's facility. The resistance's square shape simplifies the design of molds, and allows exact adjustment to the mold's cavity, thus enabling a thermal transmission that is superior to other products on the market. Working temperature 7 50ºG max.